Join Keep Hyde Park Beautiful for a fun and informative Earth Day celebration at the Hyde Park Library on Monday, April 22 at 6:30 P.M. Hear about the group’s efforts, what we have planned for the future, and how you can get involved. Then, guest speaker Dan Ruben will share tips on how to live a green lifestyle, cut your carbon footprint, and save money in the process! There will also be interactive activities, giveaways, snacks, and time for Q + A.
Dan Ruben is the executive director of Boston Green Tourism, Chair of Green Newton, and serves on the board of the Green Energy Consumers Alliance. The Massachusetts Department of Environmental Protection honored him as an Unsung Environmental Hero, and the Massachusetts Climate Action Network called Dan an Everyday Climate Hero. Keep Hyde Park Beautiful is teaming up with Hyde Park Main Streets to offer tips and assistance to businesses interested in improving the look of their storefronts or window displays. Have you ever passed by a Hyde Park business and thought, "wow, that place looks great!"? We have, and our quarterly We Noticed! column recognizes those local businesses; the ones we noticed have made an extra effort to keep their storefronts and business properties looking good. This quarter We Noticed! Parkway Cleansing Center, located at 695 Truman Parkway, for recent improvements they've made to the interior of their business. The current owner of Parkway Cleansing Center recently bought the establishment from the prior owner who had been there for 20 years. To make the business clean and comfortable for their customers, they decided to fix it up and give it a better look by changing the flooring, removing a wall, upgrading the 20-year-old laundry machines, adding nicer chairs, and installing TV monitors. They also painted the interior and added artwork as well as a new counter area and window blinds. The results are dramatic and noticeable to customers as well as to anyone passing by, especially at night when the interior is lit up and visible from the street. 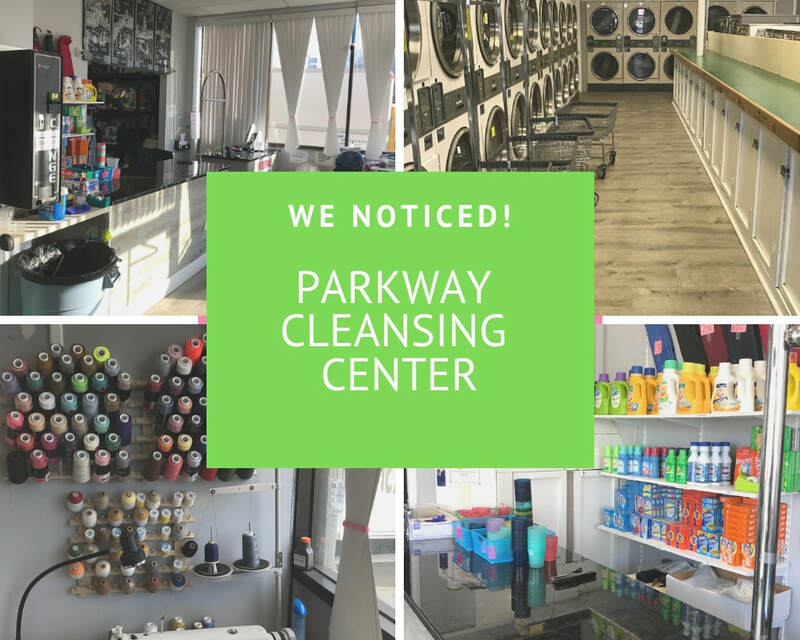 Parkway Cleaning Center is now a bright, clean, and inviting place to visit for your laundry, dry cleaning, and tailoring needs.